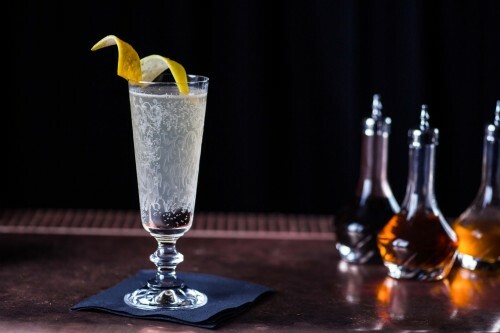 Ring in the New Year with a French 75! 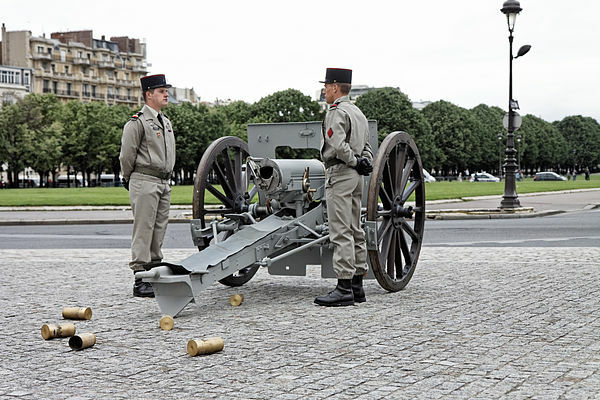 Even though it may sound like a dainty little drink, this potent marriage of gin and bubbly is name after a giant gun ~ the French 75mm gun ~ used in the First World War. Evidently the cocktail was rumored to have such a kick that it felt like being shelled with the powerful field gun right in the gut. Simply named 75 (Soixante Quinze in French), the original recipe differed slightly in that it was served over cracked ice in a tall glass, similar to a Tom Collins, with champagne replacing the soda. 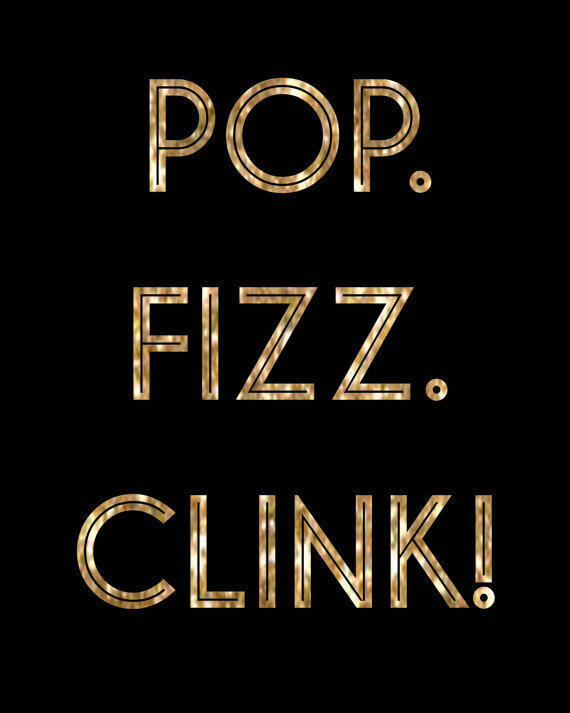 Ring in 2018 with this classy cocktail! A potent marriage of dry gin and bubbly. Combine the first three ingredients in a cocktail shaker with cracked ice. Shake vigorously for 10 seconds and strain into a champagne flute. Top with 3 oz of champagne and serve with a lemon peel for garnish. From the time Billy and Matt were little boys, this was the cookie they had to have every Christmas, not only for them to eat, but for Santa to enjoy with his glass of milk on Christmas Eve. I had no problem baking them; however, there was a catch: they had to help with the decorating. Cookie decorating is definitely not my thing. 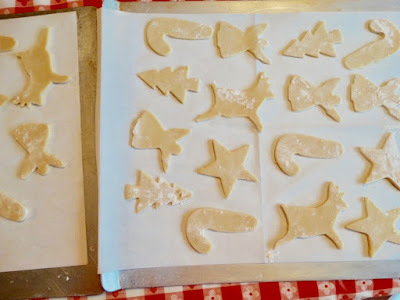 I use cookie cutters rarely and forget piping bags, I have no patience for them at all. but they make up for it in deliciousness! Santa's, angels, snowmen, candy canes, reindeer, stars, Christmas trees and bells covered the table ~ plenty of cookies to keep them busy decorating for a good while on a wintry afternoon. I mixed icing with red and green food coloring, handed them each a knife and we decorated away. Colored sugar was scattered everywhere, they did a great job, and what a fun mess we made! 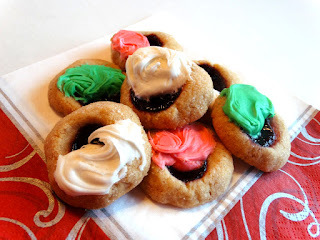 Cream cheese is the little secret ingredient here that makes these cut-out cookies easy to handle and adds a little tang to complement the sweetness. I like them rolled out on the thin side and nice and crisp, with just a very slight touch of golden color on the bottom and sides when they come out of the oven. If you roll them out thicker, they have a softer cookie texture. So ~ turn on your favorite Christmas tunes and bake and decorate to your hearts content! Beat butter and cream cheese with an electric mixer on medium speed. Add half of flour, then sugar, egg, salt and extracts. Beat on low speed until combined. Beat in the remaining flour on low speed. Divide dough in half, cover and refrigerate for 1 hour. 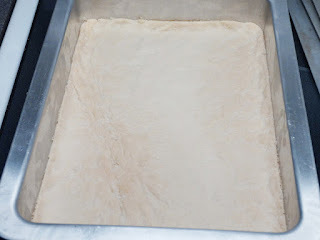 Roll out dough on lightly floured surface to ¼” thick. Bake for about 12 to 15 minutes or until edges are slightly golden. Transfer to write rack and cool completely. Beat together sugar, butter and cream cheese in small bowl. Stir in milk, 1 teaspoon at a time, until icing is of spreading consistency. Delicious Bars ~ Coconut Chews! 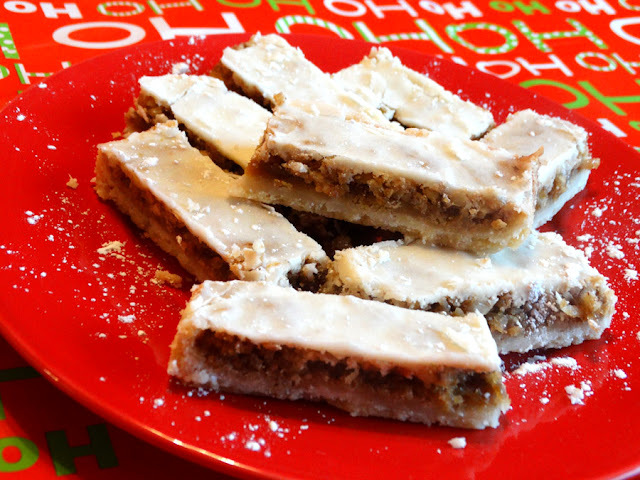 This is a simple bar to make for any coconut lover, and is one of the best treats for this time of year that I can think of. They're simple, easy to make, chewy, nice and sweet, and loaded with coconut. If you have a yen for coconut, you can’t go wrong making these! Mix powdered sugar and shortening. Stir in 1½ cups flour. Press in ungreased oblong 13” x 9” pan. Frost with Orange-Lemon Frosting, recipe below. Cut into bars, about 3” x 1”. *Use 6 tablespoons shortening, and 6 tablespoons of butter. That's 12 tablespoons total to equal 3/4 cup. 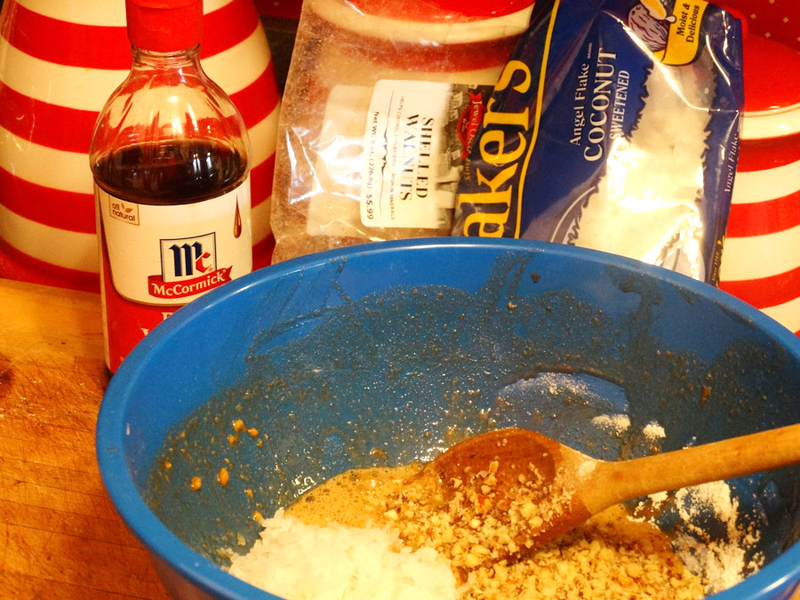 Mix all ingredients until smooth and spread over cooled bars. Hallelujah! 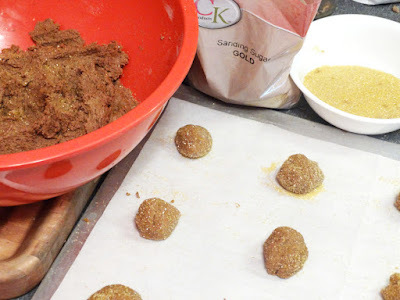 It's National Cookie Day and Christmas Cookie Season: Brown Butter Thumbprints! The English word "cookie" is derived from the Dutch word "koekie" meaning little cake. Dutch bakers used to test oven temperatures on small amounts of batter so that they wound not waste the entire cake mix if the temperature wasn't right. It wasn't long before they discovered that these tiny pieces of cooked batter were actually quite tasty. Modern Christmas cookies can trace their history to recipes from Medieval Europe biscuits ~ when many of the ingredients we use now, such as ginger, black pepper, cinnamon, almonds and dried fruit were introduced into the west. 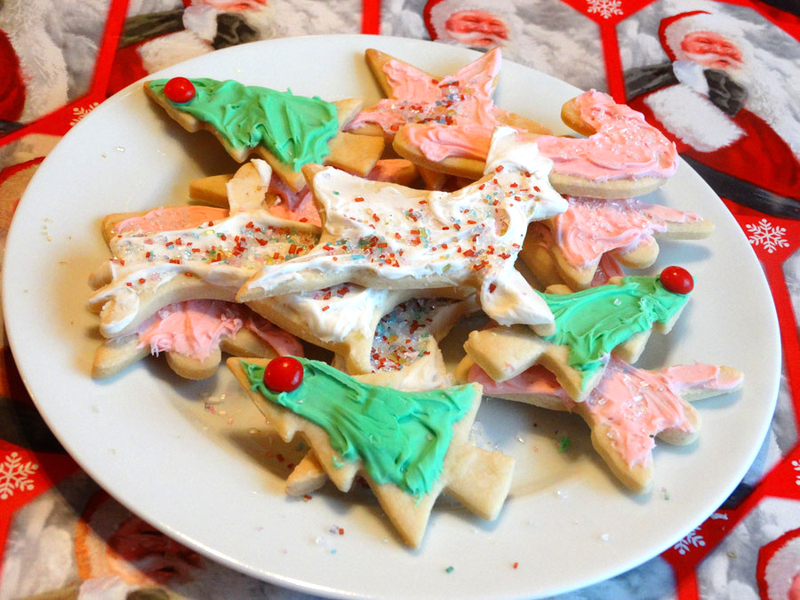 By the 16th century, Christmas biscuits were popular across Europe. Not until the 17th century, when the Dutch brought them here, did we see the early examples of Christmas cookies in the United States. Gingerbread cookies were among the popular early American cookies. I for one, am thrilled this practice carried on, as cookies are my favorite sweet treat! Cookie Monster busy baking his cookies! 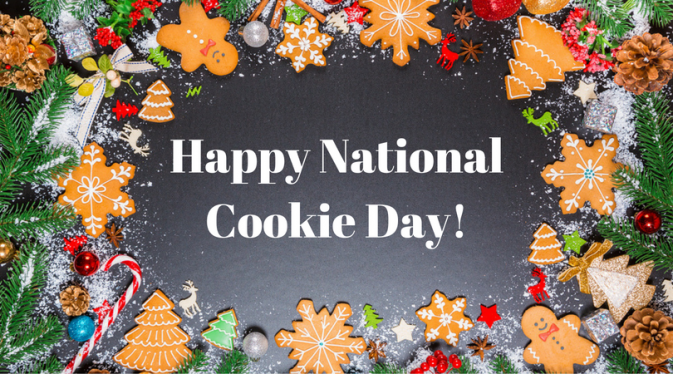 In 1976, Sesame Street included National Cookie Day on its calendar for the first time on November 26. 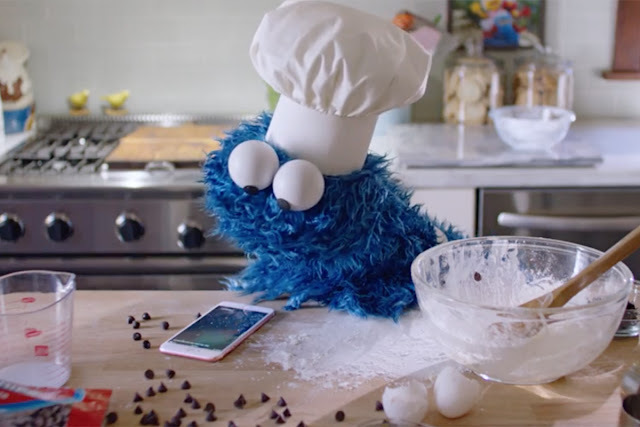 The Cookie Monster also proclaimed his own National Cookie Day in the 1980 book The Sesame Street Dictionary. Then in 1987, Matt Nader of the Blue Chip Cookie Company out of San Francisco created Cookie Day, celebrating it on today, December 4th. There is a cookie out there for everyone, and here’s a perfect buttery cookie to add to your Christmas cookie repertoire! I’ve made thumbprint cookies for many years, and was intrigued when I came across this recipe in the Chicago Tribune for Brown Butter Thumbprints. I love that the usual thumbprints are kicked up a notch by using browned butter. Browning butter adds a new dimension to an already good kitchen staple. It’s an easy way to change-up a recipe. And the aroma as they’re baking, is magnificent. Browned butter gives the cookie a nutty caramel flavor that is a perfect complement to blackberry jam. Choose the jam of your liking, we like blackberry, apricot or is fine also. A little cardamom goes a long way; I added one-half teaspoon to the mix; however, if cardamom is new to you, go easy with it, and use a little less for a background note. It has a distinctive, spicy flavor, maybe a little citrusy, I think it’s great in baked goods and learned about baking with it many years ago from my Swedish MIL. Allow for additional time when making these, as the butter will have to freeze for a short time. Then, later, the cookies will have to be refrigerated for a while before baking. Give this one a go, bet you'll really like it! Here's a perfect buttery cookie to add to your Christmas cookie repertoire! Melt butter in a small skillet or saucepan over medium heat. Cook, swirling the pan, until brown flecks appear and the butter smells nutty, about 7 minutes. Pour into a heatproof bowl. Freeze, stirring occasionally, until the butter is spreadable, about 35 to 40 minutes. Meanwhile, whisk flour, baking powder, cardamom and salt in a medium bowl, set aside. Beat the browned butter and ½ cup sugar in a large bowl with a mixer on medium-high speed until light and fluffy, about 3 minutes. Beat in the egg until combined. Reduce the mixer speed until the dough comes together. Roll dough into 1” balls, then roll in the remaining ¼ cup sugar, or gold sanding sugar. Arrange about 1½” apart on the prepared baking sheets. 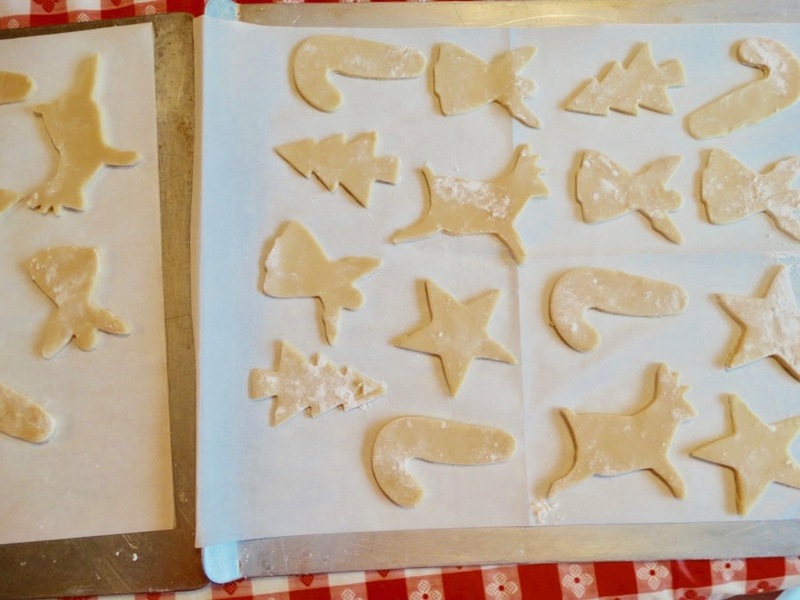 Using the tip of your thumb, make a small indentation in the center of each cookie, without going through bottom of dough; pinching together any large cracks. Refrigerate until firm, 20 to 30 minutes. 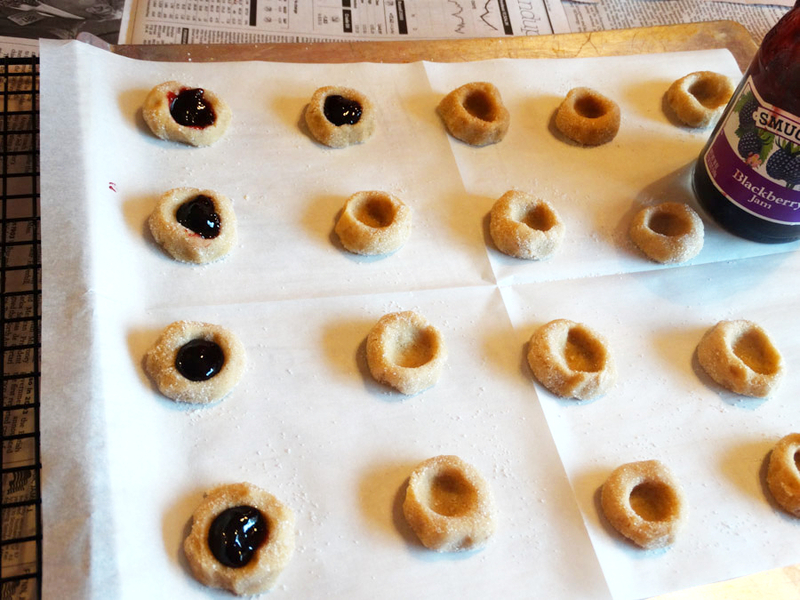 Fill each indentation with ½ to 1 teaspoons jam. Bake until cookies are set and lightly browned on the bottom, about 25 minutes. 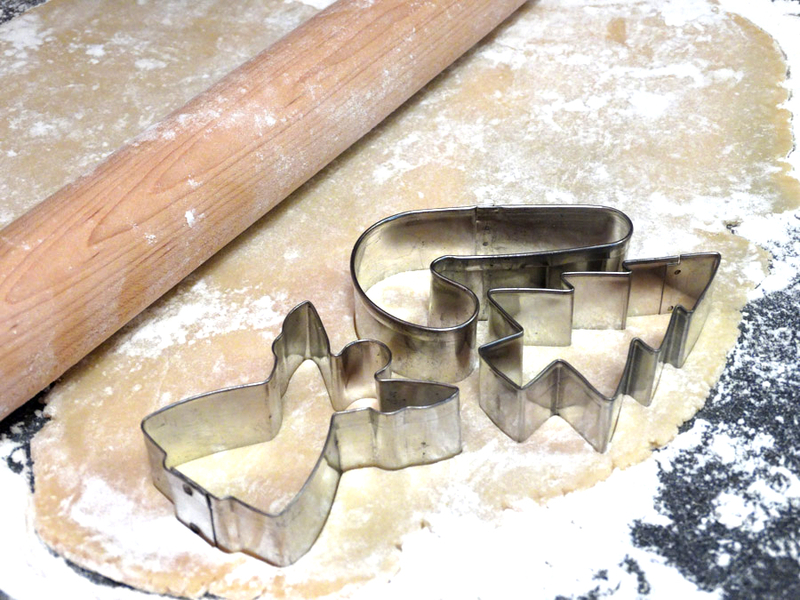 Let cool completely on the baking sheets for 10 minutes before carefully transferring to wire racks. Decorate with frosting, if desired. Add a drop of red or green food coloring to white frosting, if you like variety. I rolled the balls in gold sanding sugar. Allow 35-40 minutes freezing time for butter. Allow 20-30 minutes refrigerator time for dough. Baking time about 25 minutes. Woo hoo! 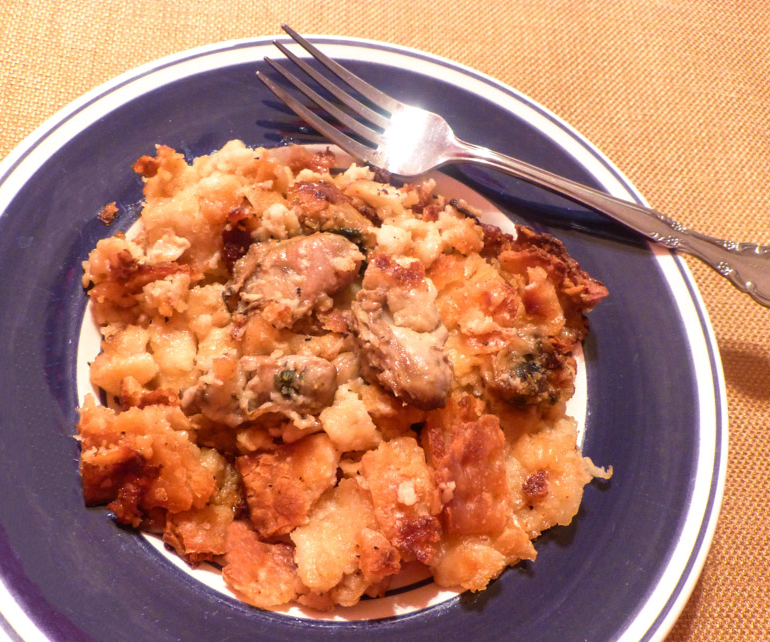 Oyster Dressing Time is Near! If you love oysters, this is the way to go: oysters, oyster liquor, Club Crackers, BUTTER, half and half, and salt and pepper. Needs no more, no less. This is always a hit at Thanksgiving and disappears as quick as a flash! Thanksgiving dinner is not complete until this dish is on the table! Use butter, use half and half! Butter a 9 x 13-inch baking dish liberally. Spread half of the crackers in the baking dish. Top with one pint of oysters. Slice butter and dot with 1/2 stick. Pour reserved oyster liquor over top. Pour half and half over all, just to top of layers, do not cover completely. Bake in 375° oven till bubbly and top is brown, about 30-45 minutes. *Use less crackers for a crisper dish. Kind of funny, Bubba (the seafood lover) reminds me now and then of how, when he and Matt were growing up, I used to never like fish or any seafood except for tuna and salmon, the 2 he didn't like at all back then and still doesn't. And of course those were the only ones I served back then, pleasing Matt. These days, I like fish and some seafood, serving it most weeks here, with Bill tolerating salmon. That's when I pep up salmon for Bill and I at dinner time, turning to this piquant sauce uniting blue cheese, cucumber and dill for the salmon. It's a perfect combo! There's nothing bland about this little sauce which you can whip up in no time. In my book, piquant blue cheese always puts pizzazz in a dish! As salmon is readily available, versatile and simply delicious, the quick prep time of this recipe and its short list of ingredients, makes it an even better dish ~ perfect for a weeknight meal or company too! Cook this for your dinner tonight: salmon, with a zesty sauce; a little green salad, and broccoli, maybe a glass of bubbly, and Voila! You have yourself a great tasty dinner! By the way, the sauce makes a great salad dressing for a wedge of iceberg lettuce. It will make you wonder why you ever ate kale salad, for sure! This piquant sauce will jazz up your salmon deliciously! Place salmon on baking sheet, skin side down and brush with oil, season with salt and pepper. 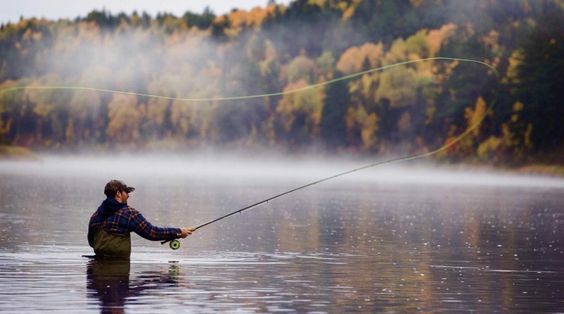 Bake for 20-25 minutes, depending on thickness, and until fish flakes easily with a fork. Combine all sauce ingredients in a bowl. Refrigerate until ready to serve.